I have enjoyed working with illustrator Floor de Goede already for many years. We made a series of comic poems together (and working on a third volume) and also a series of children's books about Sofie who is the biggest fan of penguins you could find. 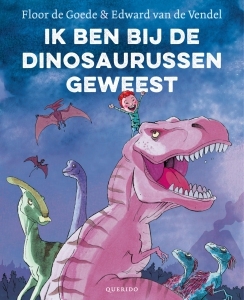 But now a whole new book came out: IK BEN BIJ DE DINOSAURUSSEN GEWEEST (I was with the dinosaurs). 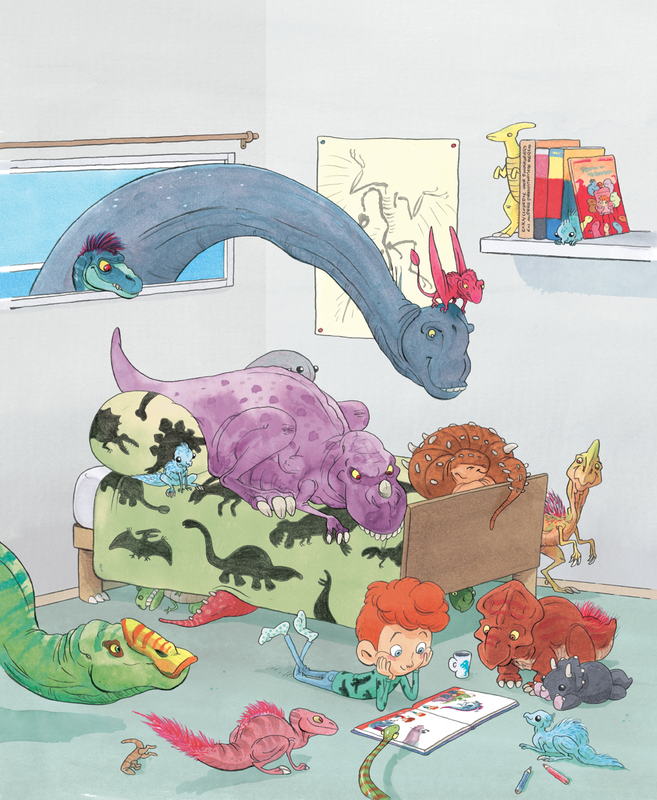 It's a picture book about a boy that finds his favourite book: one about dinosaurs. But what happens when his family is a bit less interested? The book came out at publishing house Querido, in Amsterdam, and the rights can be viewed here. 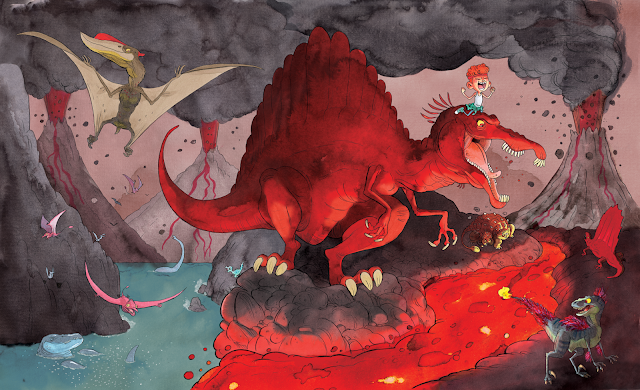 There are beautiful wide spreads full of dinosaurs - some examples go below (click to enlarge). I am pretty proud of this new book by Floor. Hopefully many kids (5 years old and up) will enjoy this colourful hommage to the world of imagination.